Fredericksburg, TX is my favorite town in the Texas hill country. It’s just a nice little town, and I always enjoy my visits up there. Recently they had their Oktoberfest celebration, and I went up for the weekend with a buddy and we had a good time. Early one morning I got up to cruise around and get some shots before everything got crowded. As you may know from reading some of my previous posts, I find early in the morning, especially on a Sunday, the perfect time to shoot because all the sane folks are sleeping! 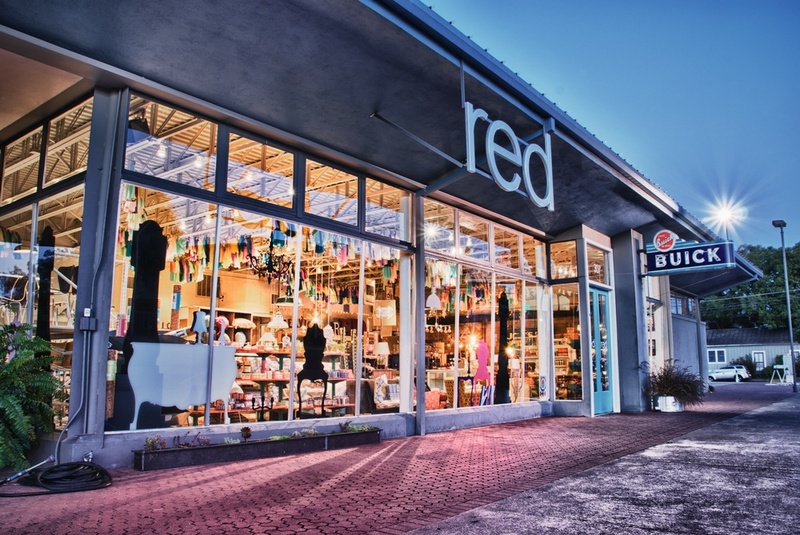 So anyways, this is an old Buick car dealership on Main Street that is now occupied by a cool little store called Red. They have all kinds of home stuff and gifts, and their website is www.redinfred.com in case you wanted to check them out. Anyways, I was drawn in by the nice light coming through the windows and of course that awesome vintage Buick sign.